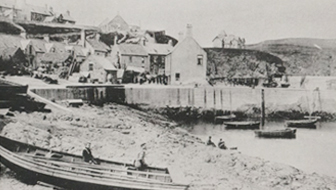 St Abbs is a small, picturesque fishing village situated at the foot of the St Abb’s Head National Nature Reserve and adjacent to the St Abbs and Eyemouth Voluntary Marine Reserve. The area is internationally important for its rugged landscape and wildlife, both above and below the waves. 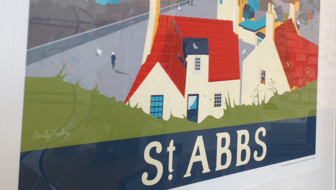 The St Abbs Visitor Centre provides a natural starting point for every visitor to the Berwickshire coastline, whether you are here for walking, birdwatching, diving, fishing or just exploring. Overlooking St Abbs Harbour and occupying the old Village Hall, the Centre offers panoramic views of the surrounding landscape in a stunning contemporary setting. 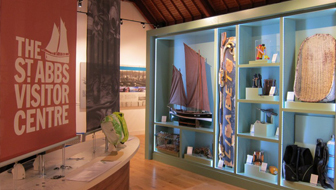 Here you’ll discover the history and culture of St Abbs past and present through interactive displays and exhibits.